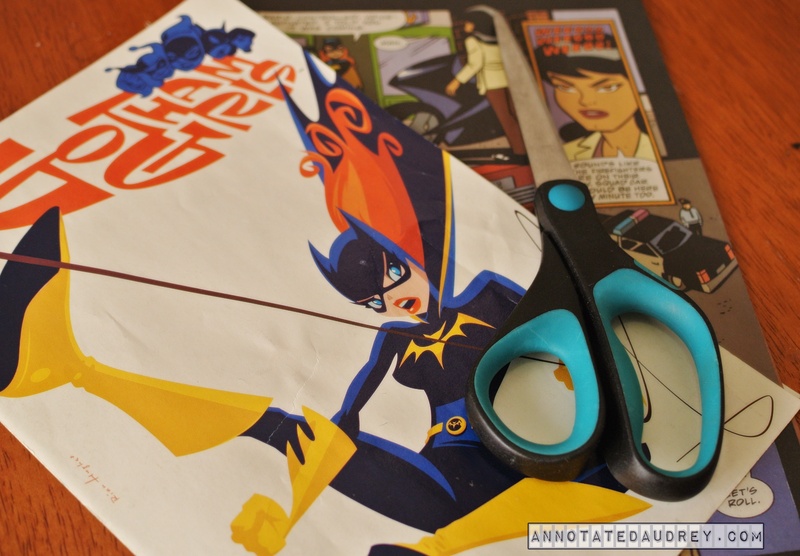 If you follow this blog at all, you probably already know that I’m a huge nerd. In fact, one of my favorite things to do is celebrate my nerdiness through arts and crafts. 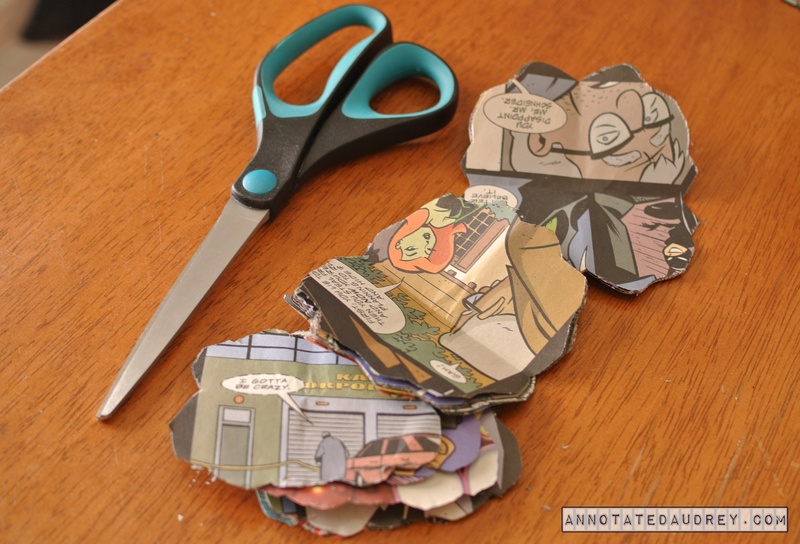 In the past, I’ve used strips of comic books and Mod Podge to revamp everyday object like a lamp shade (Comic Book Lamp Shade) or a guitar (Comic Book Guitar). This weekend, I did something a little different…. 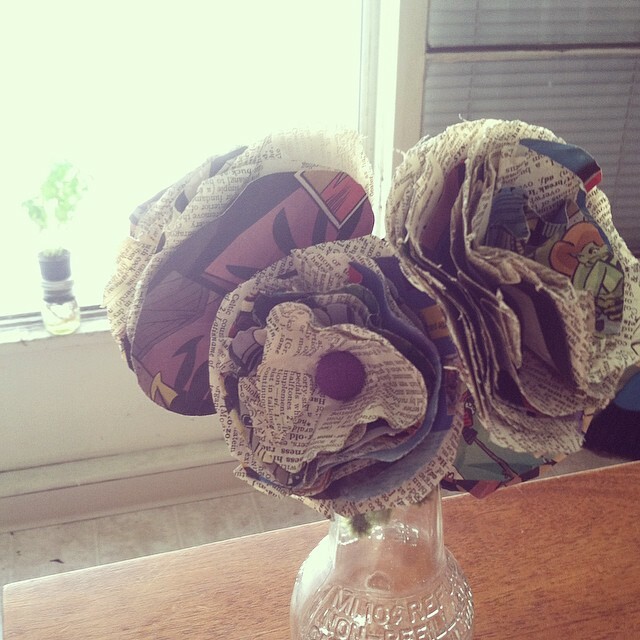 I turned comic book pages into lovely little flowers. 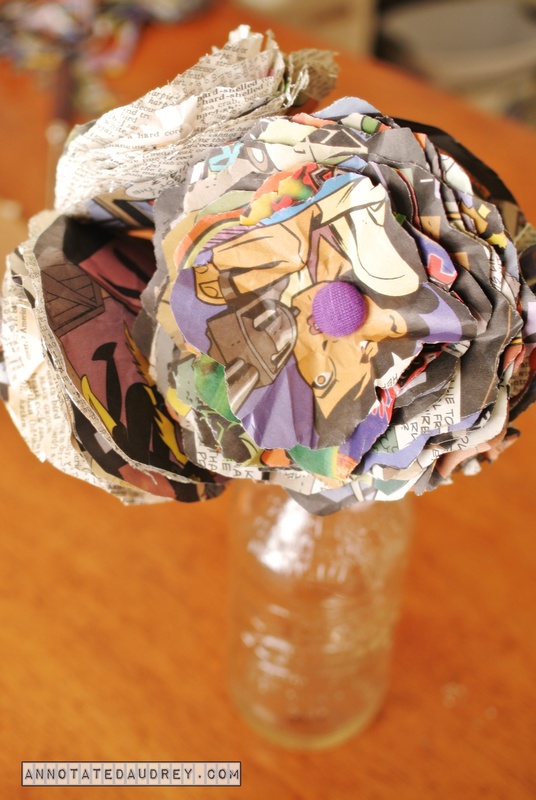 Here’s how you can make these cute (and super cool) flowers for yourself. 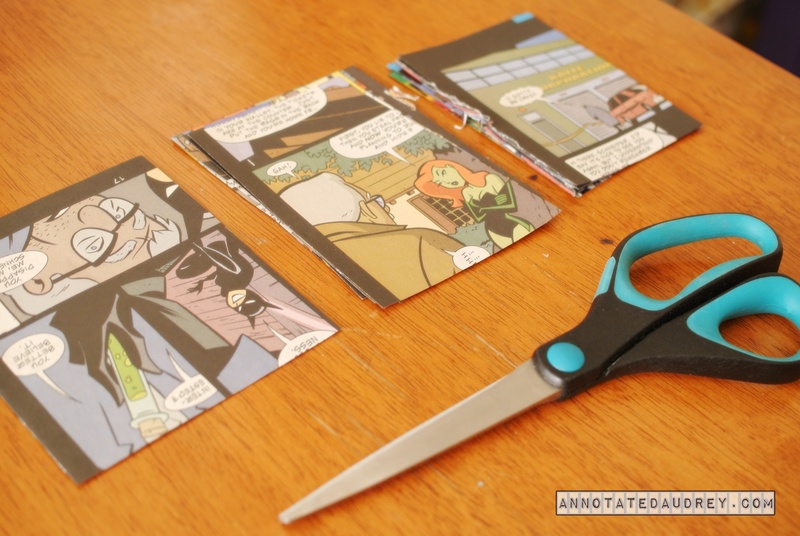 Step 2: Cut the pages into rectangles of various sizes. 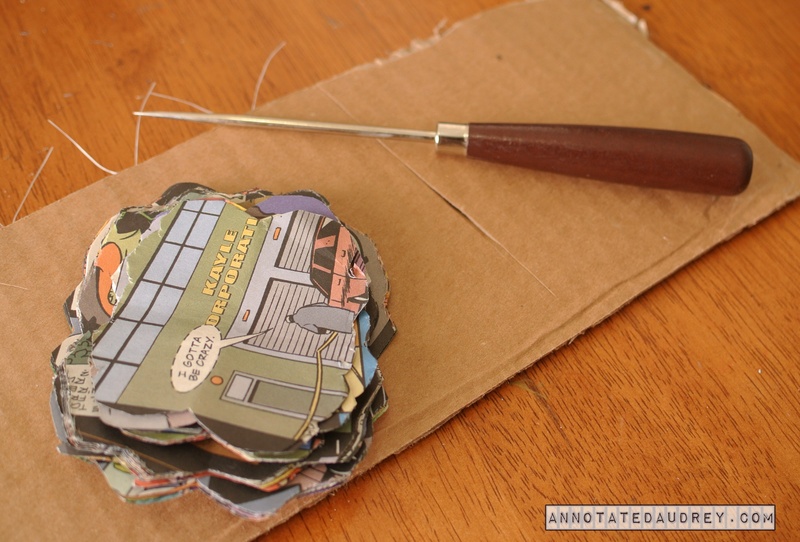 Step 3: Fold each pile in half twice and then cut out some elongated flower (cloud?) shapes. Step 4: Use an awl to pierce a hole in the center of the pile o’ flower petals. Step 5: Grab a pipe cleaner and a button. 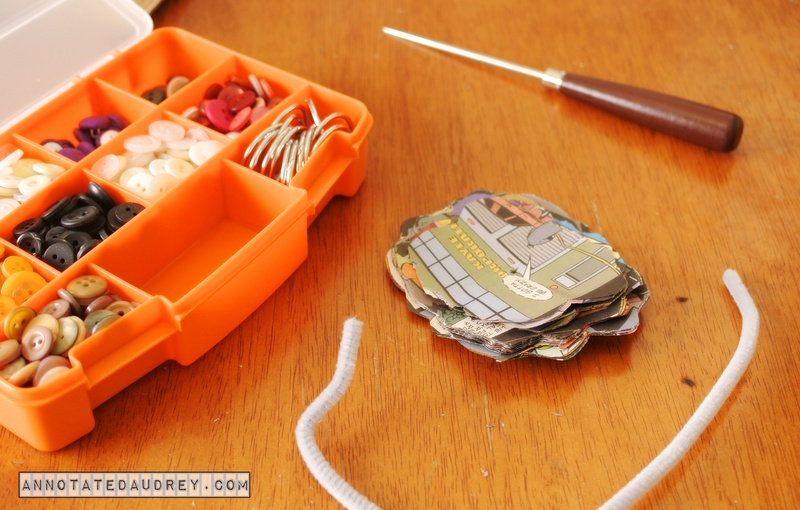 Take the button and thread it through to the middle of the pipe cleaner, then fold the pipe cleaner in half. Twist the button to form the stem of the flower. 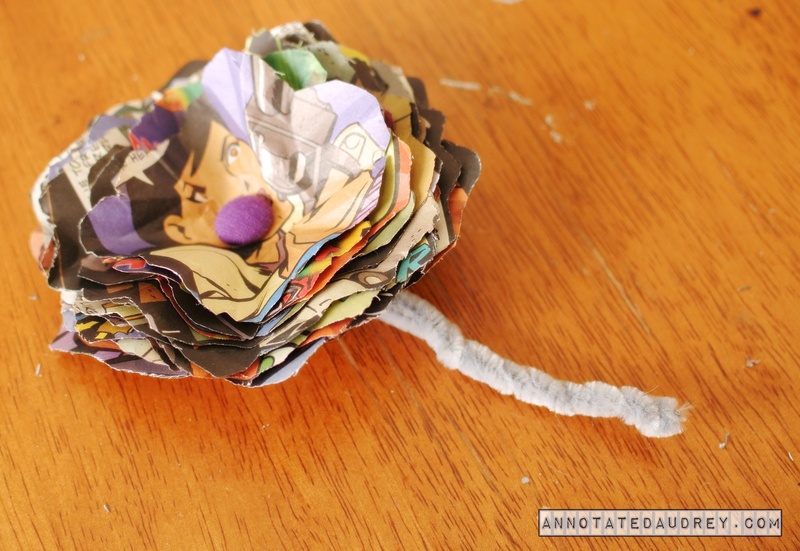 Thread the comic book petals onto the stem one at a time, starting with the smallest petals and working towards the largest. As you layer on each petal, crumple it up around the button. Step 7: When you are done layering and crumpling, open up the flower and play around with the petals to give the flower shape. Step 8: Make more! As you can see in the photo below, I created different variations of the flowers by incorporating book pages into the design. If you want, you can do what I did and make a cute centerpiece by stuffing the flowers in a vintagey looking bottle. AND… that’t it! Wasn’t that an easy project? 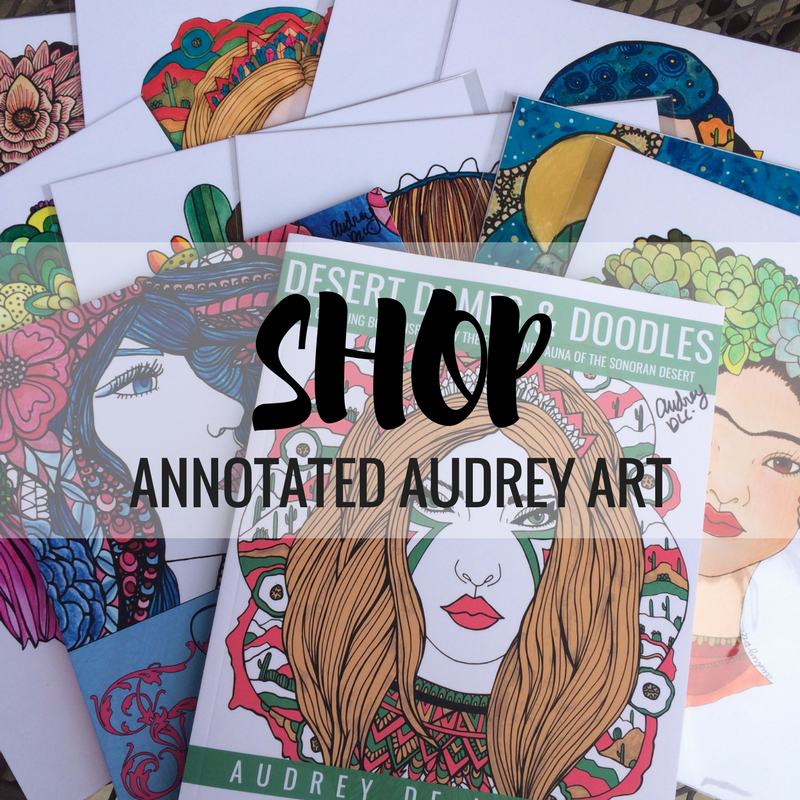 If you do decide to make these cuties yourself, please share them with me on Instagram @annotatedaudrey. I’d love to see your creations!